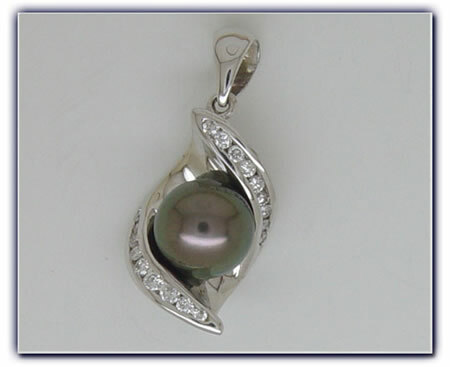 Solid 14k white gold black pearl pendant. Made in Hawaii. Pearl is 10.5mm. Total diamond weight is 0.41ct.